Breastfeeding is one of the most intimate experiences that a mother can share with her child. The form and length that breastfeeding takes is completely a personal decision, there is no “right” answer as to how long to breastfeed. Lactation consultant Nicole Peluso explains that there are lots of reasons to wean a child, either because the child is ready to stop nursing or because the parents and other family members have needs which warrant the weaning of the child. Lactation specialist Wendy Haldeman explains that nursing is beneficial for the child no matter how old they are. Breastfeeding into toddlerhood provides powerful immune resources which will keep your child from getting sick as often, in addition to the nutritional benefits and emotional stability that breastfeeding offers. Haldeman explains that mothers should breastfeed their children for at least a year until solid foods become a real viable source of calories. Once a child is past their first birthday, weaning is much easier and supplementation with formula is not necessary. Most experts agree that mothers should try to nurse their child for a full year if at all possible. Once you’ve decided that it’s time to wean, you’ve got to make it work for you and your child. Remember that breastfeeding sessions will naturally decrease as your child passes his first birthday and solid foods start to fill his nutritional needs. Haldeman explains the easiest way to do this is to drop one session per day each week until weaning is complete or reduced to the level that works for you. 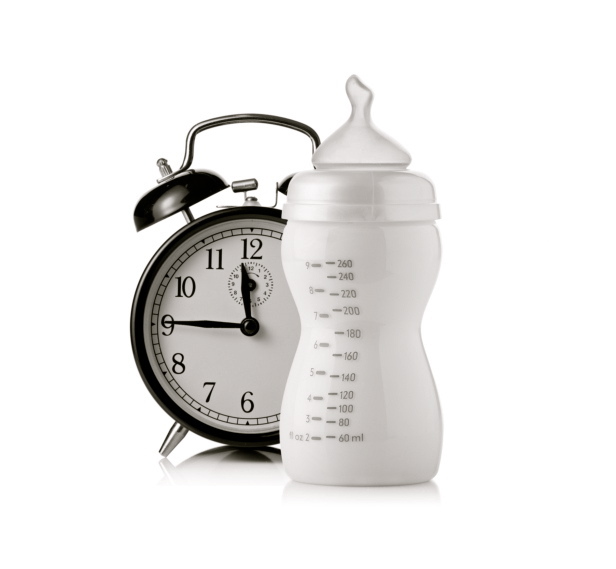 If your child is less than one year old, you will replace those sessions with a bottle. If your child is more than a year old, you’ll substitute them with milk or a meal. Keep in mind that you don’t have to completely stop breastfeeding. You and your child can continue nursing sessions once a day and a good time to keep is bedtime. Often parents are under the impression that extended breastfeeding entails several sessions per day, but you can determine your own schedule and preferences to create your own breastfeeding style and experience. If you find that you must discontinue nursing suddenly and completely for some reason, Haldeman encourages mothers to hand express or to pump enough to keep your breasts comfortable and to prevent mastitis. Depending upon how much you were breastfeeding when you stopped, this could take several days or a week. In the end, you know what’s right for you and your child. Whether you nurse your baby for six months, a year, or into toddlerhood, any amount of breastfeeding is a positive and important choice. Nursing should be a positive undertaking for you and your child, and the most important thing is to be comfortable with your experience. As long as everything is okay, I am going to breastfeed my baby and I am trying to learn all I can about it before my baby comes.